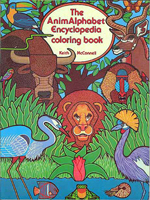 Animals from A to Z in drawings together with absorbing facts. 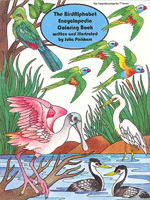 Birds of the earth A-Z from Amazon parrots to Zenaida doves. 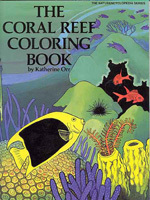 The underwater world of corals, their curious lifestyles and the reef as a living system. 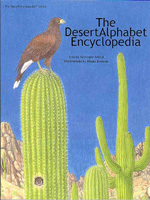 Discover the many plants and animals that live in the driest and harshest habitat on earth. 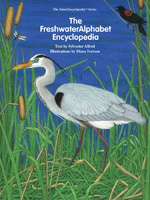 Detailed drawings and informative entries about this unique and beautiful ecosystem. 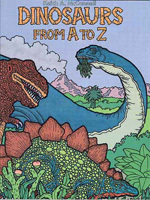 A humorous survey of the more obscure species of dinosaurs, describing the appearance and habits of such creatures as the Surfosaurus, Snifflesaurus, and Voluptuous Rex. 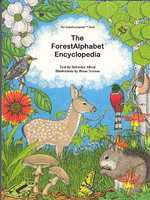 An additional title for the well received NatureEncyclopedia Series featuring fascinating facts of the richly diverse forests of our planet. Providing homes to the fish that swim deep below the waves, the plants that live along the banks, and the birds and insects that float on the surface, fresh water is a diverse and dynamic habitat. Allred and Iverson make it easy to dive right in, and learn about the creatures that live in this vibrant ecosystem from A to Z.